If you have a valuable piece of platinum jewelry, you will want to keep it looking shiny and clean. You can spend money on a pre-packaged jewelry cleaner, or you can use a homemade cleaner. If you opt for the latter choice, then you need to mix one part of ammonia with one part of warm water. Once you have the needed cleaner, and then obtain a soft cloth. Dampen the cloth with the soapy solution, and rub that solution on your platinum possession. That cleaning should manage to enhance the natural luster in your prized piece of jewelry. Still, no matter how well you might clean any piece, you will not be able to perform a truly professional job. Therefore, you should arrange for each of your platinum items to be cleaned and polished by a professional jeweler two times each year. Seek out a jeweler that has been trained to work with platinum. You might need to seek the services of that jeweler more than twice a year. After all, you might find that you need to resize a platinum ring, making it smaller or larger. If you have failed to locate a professional jeweler, one with an expert knowledge of platinum, you could be asking for problems. In the past, trained professionals have discovered white gold in resized platinum rings. Jewelers who had failed to recognize a piece as “platinum” had used white gold, when adjusting the size of that same item. The presence of the white gold reduces the value of that lovely platinum piece. You need to make sure that none of your jewelry suffers a similar fate. By the same token, you should make an effort to maintain the quality of your metal jewelry. Do not wear a platinum piece while doing heavy work on the job, or around the house. 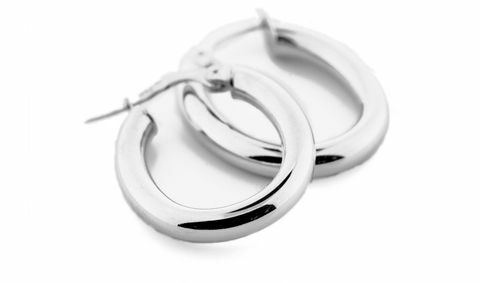 Do not expose a platinum accessory to harsh chemicals. Such chemicals can damage the metal. They can also change the color of any gemstones used to decorate that metal. Moreover, the combination of chemicals and metal can set off an allergic reaction. Over time, you can expect a piece of platinum jewelry to develop a natural “patina.” You will want to consult with a jeweler about how you can help your piece to retain that attractive patina. This again is a time when you need to seek out someone who is familiar with the specific characteristics of platinum. This can help you to avoid making a fatal mistake. You do not want to be like the graduate student who wore her ring while working with acetic acid. She was worried about the way the acid ate off her nail polish. She did not even think about what damage she might be doing to her lovely platinum ring. When you remove your platinum accessory, do not store it with your other jewelry. Store it in a separate compartment, so that it is less likely to become scratched. Moreover, you have dimished chances that your platinum item might scratch the metal on some of your other lovely accessories.